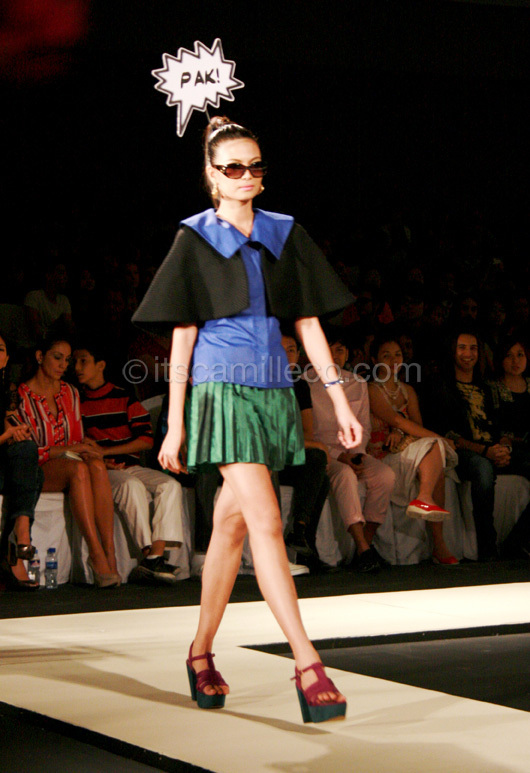 And the PFW coverage continues! This time I present to you the Premiere C show featuring the works of Derick Hibaler, Jeffrey Rogador, Kermit Tesoro, Raoul Ramirez and Yako Reyes. Derick Hibaler’s collection screams cool manliness. And I’m pretty sure the models felt the same way because they walked and posed like rock stars! I especially loved his blazers like the one on the photo above. Derick Hibaler, the designer himself. Needless to say, his designs are really very him. Jeffrey Rogador. 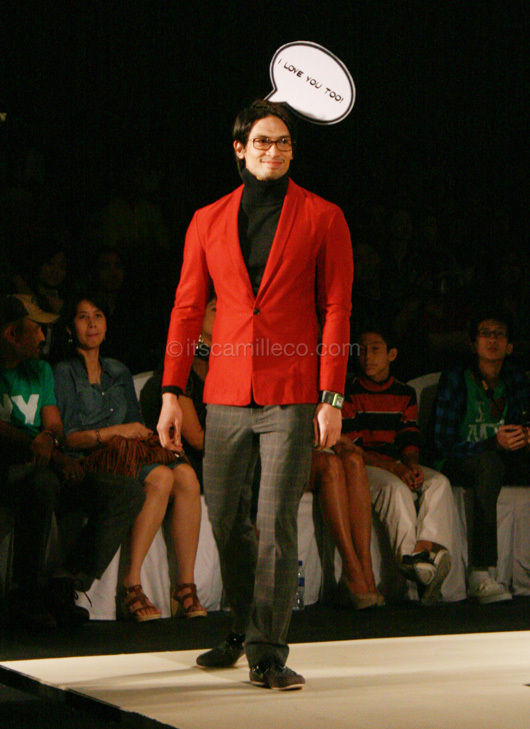 When the models came out with word bubbles above their heads, the whole audience “aww-ed” collectively. Too cute! Jeffrey Rigador. Love the skirt and red bow tie! 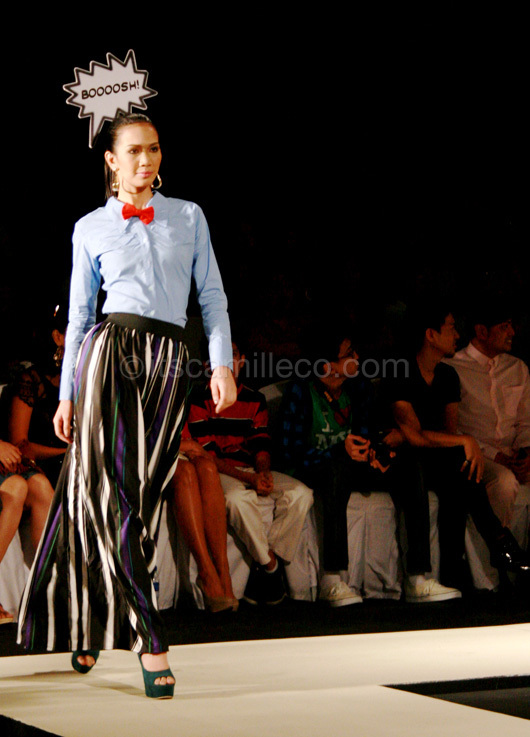 Jeffrey Rogador’s collection can be easily seen on today’s working men and women. There’s no mistaking that this dress is Kermit Tesoro’s. Check out those shoes! Kermit Tesoro. I want those wedges! 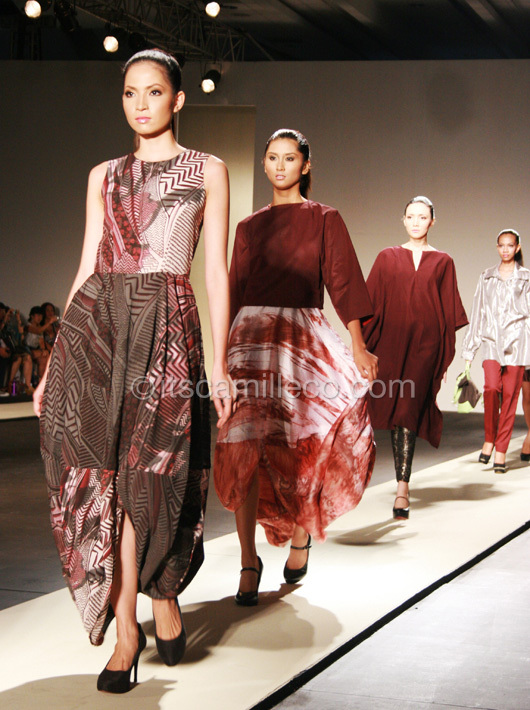 Kermit Tesoro’s collection was one of the best for the night. I’m sure young and urbane women are already flocking to his shop! Kermit Tesoro. Love the top! Xtina for Kermit Tesoro’s finale. Yako Reyes. Love this dress! Yako Reyes. 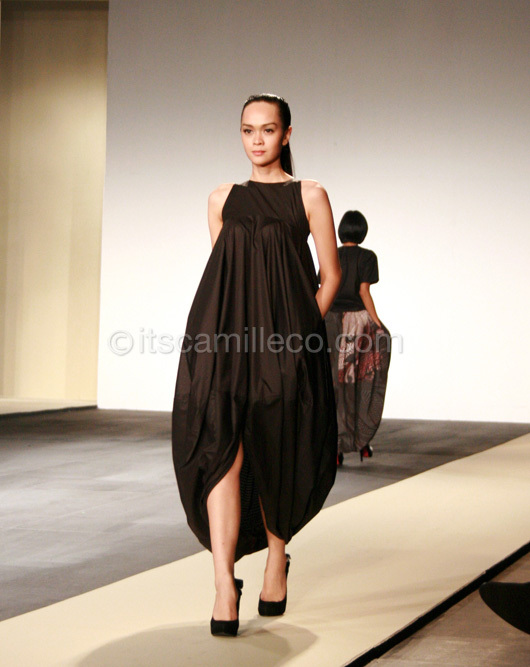 Check out the 1st dress and the skirt on the second model. Love. Pokwang! 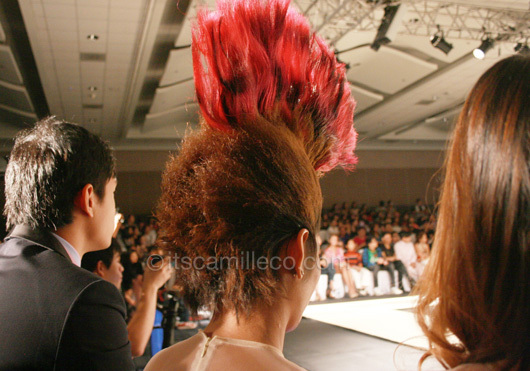 She came in her bonggang red mo hawk. Kabog kami lahat! Bow!